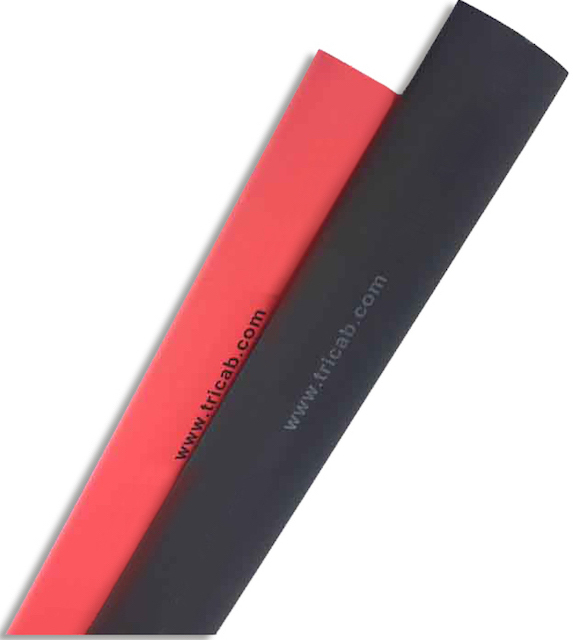 TriCab Dual Wall Heat Shrink is suitable for a variety of electrical and mechanical applications including marine wire harnesses, wire splices, breakouts, and connector to cable transitions. It exhibits excellent electrical and mechanical properties, and suits indoor or outdoor installations. ** There is a +5% tolerance to the NOMINAL values due to manufacturing process variations. TriCab is not liable for any errors, omissions, etc., and reserves the right to modify specifications at any time.